Frederick J Fredericks was a one day event which took place in the Brecon Beacons National Park on 30th October, 2011 as part of Powys Arts Month. 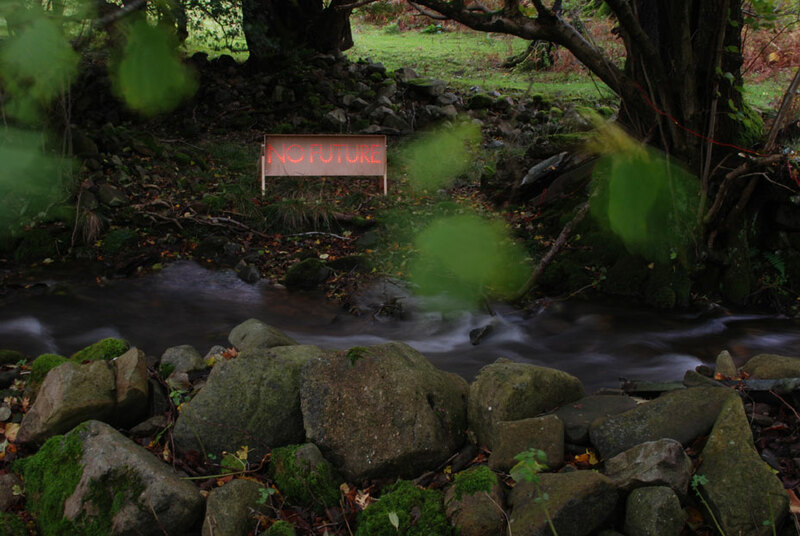 The event comprised an artist-led journey on foot, from the village of Llangattock to the entrance to one of the largest cave systems in Europe at Craig y Cilau National Nature Reserve. The journey was led by Steve Booker, an experienced caver with a detailed knowledge of the subterranean landscape beyond the cave entrance. During the journey Steve spoke about his personal experiences underground, pausing for other performances to take place or for the audience to look at an installation. On arrival at the cave (Eglwys Faen or ‘Stone Church’), Steve disappeared into the cave system. The event included installations, performances, readings and improvised music. The project’s title was derived from 18th Century graffiti just inside the cave entrance. Video Documentation by Nic Finch, Stills by Phil Martin. You can also download the Route Map.